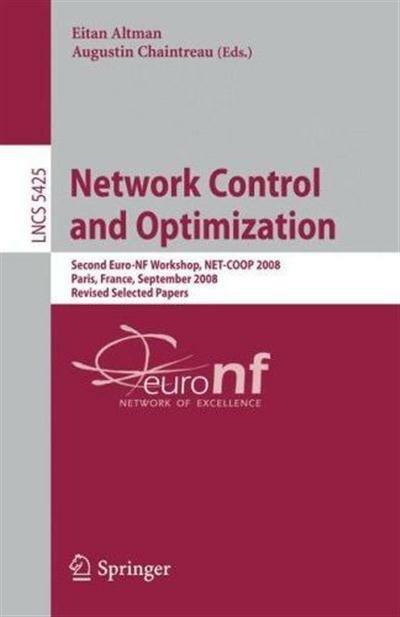 Network Control and Optimization: Second EuroFGI Workshop, NET-COOP 2008 Paris, France | Free eBooks Download - EBOOKEE! This book constitutes the refereed proceedings of the Second Euro-NF International Conference, NET-COOP 2008 held in Paris, France, in September 2008. The 13 revised full papers presented were carefully reviewed and selected from a total of 27 submissions. The papers are organized in topical sections on economics and peer-to-peer networks; routing and measurements; scheduling; tcp and congestion control; as well as wireless networks. No comments for "Network Control and Optimization: Second EuroFGI Workshop, NET-COOP 2008 Paris, France".